Marketing budgets are always tight and it is difficult to get funds released when necessary. 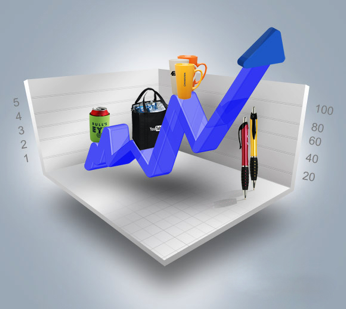 In such a scenario, how do you ensure that you get significant ROI for the promotional products you invest in? In short, how can you make sure that your products will become a marketing success? Don't just go for any product to highlight your brand. Instead, opt for something your recipients can use for years. A quality mug, for example, will not be discarded. If the mug is appealing, there is every chance your recipients will get attached to them. They will use them to drink their favorite beverages, remembering your brand each time. After a couple of years, your recipients may move on to another mug. But your old imprinted mug may still find use on a desk to store handy stationery such as pens or rubber bands. Speaking of pens, they are pretty resourceful as well. And so are shirts, jackets and USB drives. You won't find it difficult to get a quality product that matches your branding needs. After you are ready with the promotional products, who do you give them to? Obviously, you would want to distribute them among people who will help promote your brand better. Do you wish to give them away to employees or prospective customers? A business I am familiar with in Albuquerque handed out their giveaways to employees and their families. In two days, all the merchandise was exhausted and the marketing campaign was an economical failure. Since the items were taken by employees and their families, it didn’t get the exposure it deserved. Most of these giveaways were locked up in their homes with no exposure to the outside world. Don't make the same mistake. Plan well in advance for your marketing campaign. Think wisely about what you want to distribute among employees and customers. For example, you could hand out imprinted shirts among your employees. They will serve as quality uniforms as well and customers will feel better while interacting with them. If there is a reason why you are giving away promotional items, then do convey it to your recipients. Tell them you want to do business with them and they will probably agree, especially if they like your giveaways. By specifying in advance what you hope to achieve from these giveaways, you are paving the path for a long-term business relationship. Everybody loves receiving freebies - your recipients will value your services even more. When you know what you wish to achieve from promotional items, you will find your marketing campaigns performing much better. If you are looking for some promotional ideas and/or products, do visit the ODM Group’s website and Marketing Gifts Blog for more related information.